Drifting Falling » Matt Bartram – The Dreaming Invisible……. 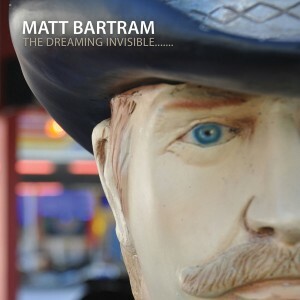 Matt Bartram – The Dreaming Invisible……. For over a decade with his band Air Formation, Matt Bartram has been one of the most prolific, consistent and respected songwriters of the shoegaze/dreampop scene. Following the demise of Air Formation in the spring of 2011, Matt Bartram formed You Walk Through Walls with fellow Air Formation alumnus James Harrison (together with Harry Irving). Matt has collaborated with Rachel Goldstar as The Static Silence (Distant Noise) and has remixed tracks for Kontakte (Drifting Falling); purveyors of skyscraping instrumental cinematic rock, and Monster Movie; Christian Saville of Slowdive’s current project. Christian also played on the track “Twelve String Loop” on Bartram’s most recent solo outing “Left to Memory”. Matt has spent the last several years recording experimental excursions at home on his eight track. These recordings generally spawn from improvisations based around simple rhythms and drone. His well received solo debut “Arundel”, was released in March 2008 and the follow up “Left to Memory” followed in 2009, both on Drifting Falling. Matt aims to create hypnotic, mesmerising and uplifting tracks which reflect a more ambient feel. This ambiance really comes across on Bartram’s newest release “The Dreaming Invisible…….”. “The Dreaming Invisible…….” features some of Bartram’s most ambient work to date. It’s a jaw-dropping example of his mastery of texture, melody and subtly. Exquisitely layered and masterfully crafted.